Horton Hears a Who writing activity | My Attempts at Being Creative! Thursday we read Horton Hears a Who. 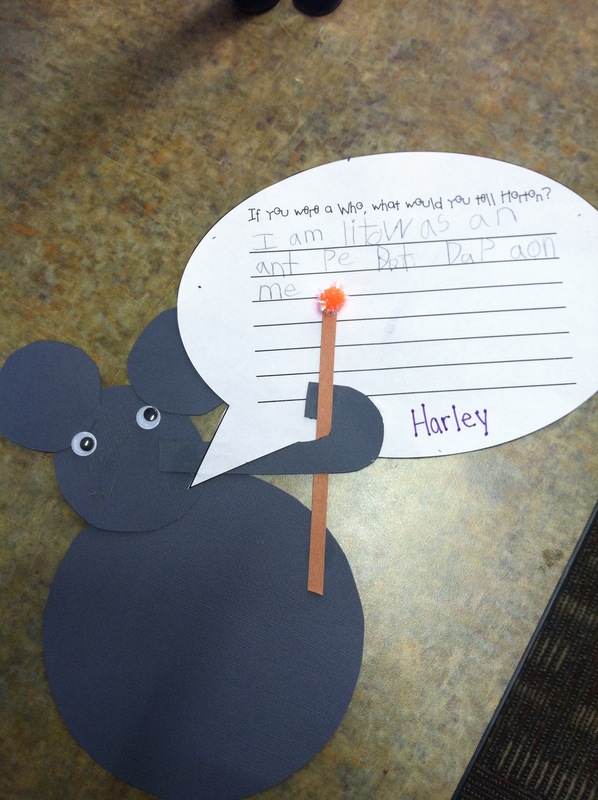 After we read the book I posed this question to the students: If you were a who what would you tell Horton? 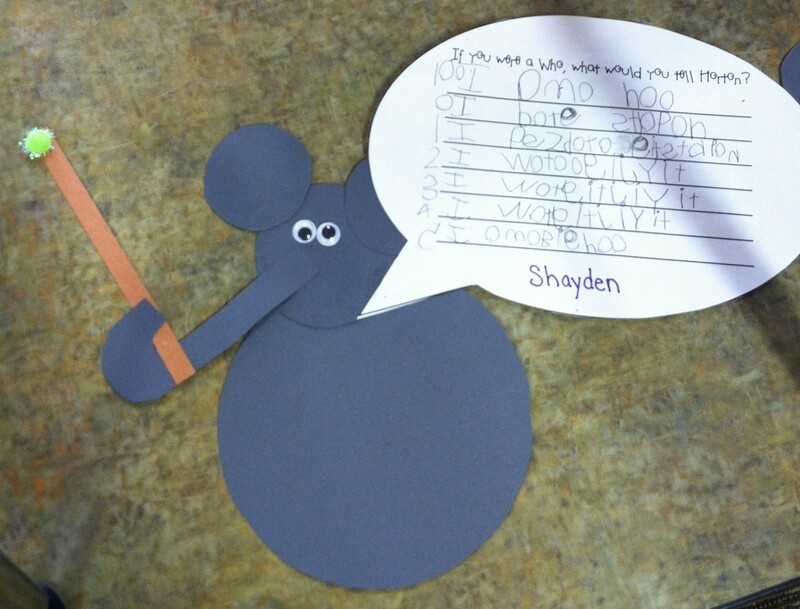 The students went back to their seats and wrote what they would tell Horton if they were a Who. After they were done writing they created their own Horton’s. I found this idea here. So I took a picture before the kids put the pink on the ears and also before I put the saying A person is a person no matter how small on the elephant’s stomach. I will update with the final product next week.